Wellness Recommendations - Voted Best Yoga Studio in Sarasota! Compliment your yoga practice with a wellness related service offered at Rosemary Court! Five Petal Holistic Healing Center is dedicated to creating an individual lifestyle plan for patients who are interested in being an active participant in their health. Together we implement the ancient techniques of Chinese medicine, as well as modern western testing, to address and balance the five pillars of Chinese Medicine; Diet, Exercise, Herbs, Acupuncture and environment. Our vision is to facilitate a healthy, conscious body, mind and spirit in the individual, community and the world. This certified organic fruit and vegetable cooperative distributes at Rosemary Court every Friday. Members can order small or large bags, and often receive helpful recipes along with their weekly order. Pre-registration is required. From 11:00am-6:00pm every Friday. A graduate of the University of South Florida, writer Linda Maree is the creator and facilitator of creativity workshops, writers’ circles, and study groups for women. 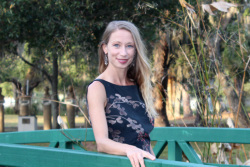 She has facilitated events in diverse venues including the Crowley Museum and Nature Center, Art Center Sarasota, Rosemary Court Yoga Studio, Selby Gardens, private homes, businesses, and the Ringling College of Art & Design, where she is on the Continuing Studies and Special Programs faculty. From her writing to her art to her work with clients, Linda’s focus is on developing and nurturing creativity and intuition to support individual dreams and care for our planet. Her articles have appeared in many local publications and an essay, “Hiking the Fakahatchee Strand,” was chosen for inclusion in The Wildbranch Anthology, a collection of nature and environmental essays published by the University of Utah Press in October 2010. Michelle shares this ancient, hands-on art of balancing life energy in the body with individuals and families addressing acute, chronic, and serious health projects (such as cancer and ALS) along with those interested in maintaining wellness. Her services are enhanced by the depth of compassion and understanding from her personal life experiences, fun-loving attitude, and intuitive nature. Clients find comfort in Michelle’s down-to-earth approach and gentle demeanor. Private energy balancing sessions, self help consultations and self help classes offered. Click here to join Suncoast Jin Shin Jyutsu’s mailing list and receive a monthly newsletter with articles, self help tips and class listings. The Rosemary Birthing Home, led by licensed midwife Harmony Miller, provides complete prenatal and postpartum care including breastfeeding support. Harmony and her staff of licensed midwives and nurses also provide waterbirths and classes on childbirth, childcare, breastfeeding and more. Michele Holmes, licensed massage therapist, is also a certified personal trainer and has completed continuing education in sports massage. 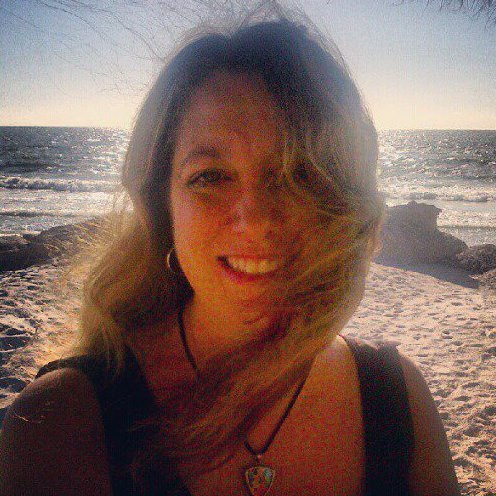 A native of California, Michele attended the renowned Sarasota School of Massage Therapy and merges Neuromuscular therapy, CranioSacral techniques, and Swedish massage into an eclectic experience. Massage Market's storefront and headquarters are located at Rosemary Court in Sarasota, Florida. Owned and run by Licensed Massage Therapist Lauren Wood, Massage Market serves the bodywork industry and individuals who want to further their route toward a healthy lifestyle. Massage Market insists on personalized, customer-based service. We are a small company and we like to know our customers as if we were your corner market store. Questions about products, industry trends, bodywork modalities are always encouraged and feedback on purchases (or even on products we do not carry) is heartily welcomed. If we do not know the answers, we will certainly do our best to research them and reply as quickly as possible. For more information, please visit http://www.massagemarket.com/pages/About-Us.html. Colin Fairweather, LMT, is a Florida native who has worked as a massage therapist in the Sarasota area for several years. His specialty is Sports Massage, and he also offers deep tissue treatements as well as relaxing Swedish massage. Craig Hancock, state-licensed Neuromuscular Massage Therapist and Certified Personal Trainer, has been treating clients in Sarasota for 14 years. His specialty is shoulder injury rehabilitation. He also provides auto injury rehab by accepting PIP insurance. In addition to his practice, he has served on the board of the Florida State Massage Therapy Association (FSMTA), and engaged in their sporting events to provide pre and post sports massage. As a personal trainer, Craig offers one-on-one fitness training sessions for individuals and/or families in their home or place of business. Along with cardio and specific muscle training, full body stretches are included. Call today for a 50% discount off your first massage or fitness session! Patricia Leon, a State-licensed and Nationally Certified Massage Therapist and Aesthetician, provides services including Swedish and Hot Stone Massage, Couples Massage, Natural Facials and Auto Injury Rehabilitation. Patricia worked for almost two decades as a Medical Technologist, including research work on health and nutrition for the U.S. Public Health Service. She has studied Shiatsu Massage in Japan and was part of the British Olympic Sports massage team. Patricia excels in releasing tension, stretching congested areas with a nurturing touch. Dr. Deanine Picciano AP, LMT is a Doctor of Oriental Medicine and body worker with over 18 years of experience as a practitioner and educator. Deanine is in private practice in Sarasota, Florida with an emphasis on women & children’s health and healing the whole person. As a physician, she is committed to empowering her patients with an integrative model of care. She works closely with the Rosemary Birthing Home in Sarasota, a free standing birth center operated by licensed professional midwife, Harmony Miller LM, CPM. Dr. Deanine is the founder of Integrative Touch Seminars, a professional continuing education provider founded in 2001 and endorsed by the NCBTMB, state of Florida and the boards of Acupuncture and Massage Therapy. Dr. Deanine began her study at the University of South Florida with a focus on marine biology. Inspired by the science of living things, she expanded her study to physical therapy and exercise science. She was introduced to massage therapy, bodywork and acupuncture thru personal experience and went on the study massage and Oriental medicine. She became a licensed acupuncture physician in 1997. Since then, Dr. Deanine has been dedicated to study healing traditions from all over the world including herbology, classical homeopathy, muscle testing, detoxification, qi gong and CranioSacral Therapy thru the Upledger Institute. Dr. Deanine is a professionally trained and qualified practitioner of The Arvigo Techniques of Maya Abdominal Massage a therapy. She is trained in CranioSacral therapy levels 1 & 2, CranioSacral for Pediatrics and SomatoEmotional Release. Dr. Deanine has contributed to the field of health education and curriculum development since 1997 and was formerly an instructor of Anatomy and Physiology, massage, herbs and acupuncture at the Sarasota School of Massage, Florida College of Natural Health and the East West College of Natural Medicine in Sarasota. She has trained practitioners from all over the world and from diverse health care disciplines such as midwives, Physical Therapist’s and Psychologists in integrative healing and bodywork. Her in house trainings have been sought after by leading spas and resorts, including the Ritz Carlton, The Spa at Riverview-New Smyrna Beach Florida, and Handling Your Health Rehab Center in Nassau Bahamas and the Florida Hospital at Celebration in Orlando. Dr. Deanine is a mother of 2 boys and is happily engaged. She enjoys spending time at the beach, being outdoors with her boys, gardening an relaxing while cooking something fresh, delicious and most often Italian. For more information, visit www.drdeanine.com.